There's nothing you wouldn't do to make your fur baby feel happy, even when it comes to massaging their bodies, pads of their feet, and aging joints. That's why we created the BaoGuai Pet Massager , a vibrating, hand held wand that you can safely use on their face and body to stimulate circulation, reduce pain and muscle tension, and make them feel like they're on cloud nine! It's lightweight, ergonomic, and easy to manage for pet owners, and waterproof and gentle on sensitive skin and coats for pets. 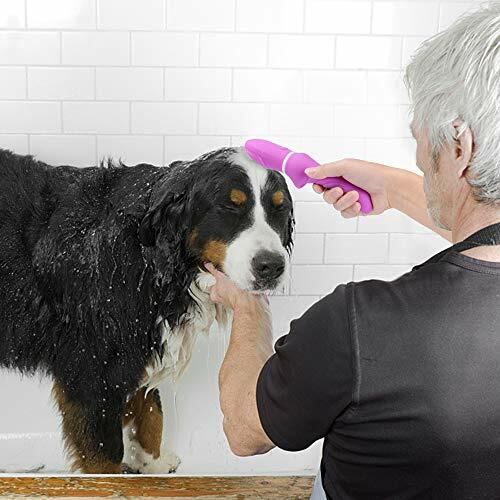 And with a stimulating brush head that helps reach down below hair and massage the skin, your cat, dog, or other animal will love getting the special attention. Along with traditional stimulating vibration, each massage tool featur es a rolling pin body that can be separated at the middle and used as an automatic roller that rolls out stiff, sore muscles or joints when it's held in your hand. 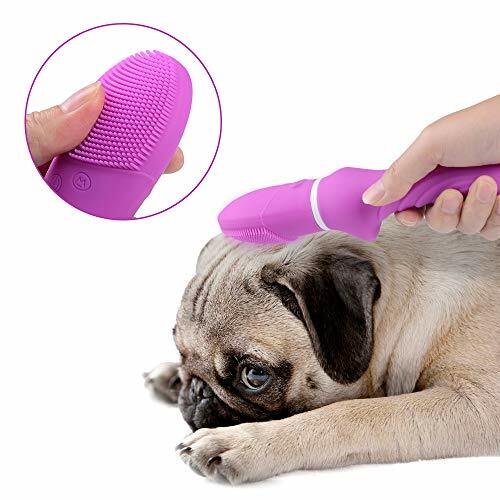 Depending on your animal's tolerance for petting ( we understand not every cat is super friendly), these massage tools can be used on small and large cats, dogs, puppies, kittens, chinchillas, horses, and other fun-loving pets! On arrival, I unboxed the massager, felt the soft/silky texture and was eager to test it out. But I knew I had to charge it first. Now I love the fact it's a rechargable unit but the magnetic points for charging are incredibly easy to knock the charger off of. Also once charged I thought it was broken because I pushed the power button and nothing happened. You've got to press the power button until the unit begins to vibrate. Once I figured that out I played around with the settings figuring out intensity and how it worked. Let me tell you, this thing is powerful! And has way more options than any other "massager" I've ever owned before. The first time trying it out, I kept it on its lowest settings, as to not scare my "cat". Needless to say, she was extremely pleased with the way this massager works. 10/10 would recommend! Good quality product. But price could be a little bit cheaper. So giving it 4 stars instead of 5.